Melissa is holds an Associate’s Degree as a Certified Occupational Therapy Assistant in the state of Ohio. She’s worked the last 11 years in a multitude of settings such as a hand specialist clinic, acute care hospital, and the Board of Mental Health in Preble County. She’s spent those years rehabilitating individuals who have suffered traumatic injuries, stroke, amputations, surgical fixations / repairs, neurodegenerative conditions, and chronic pain. She’s vell versed in working with individuals who have autism, down syndrome, depression, dementia, and ADHD, to name a few. Melissa has two miniature horses she’s trained to work in nursing homes. They have been visiting with clients from Hospice of the Miami Valley for the last four years. She’s living the dream on a small farm with her husband, horses, ponies, cats, dogs, and ducks. 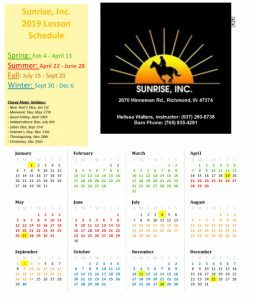 When not at Sunrise, Melissa can be found on the trail riding, or creating leather horse tack for her personally owned business. 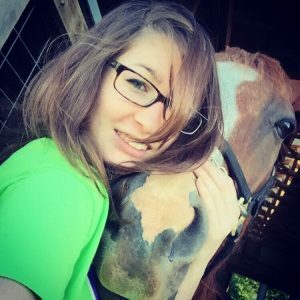 Melissa is thrilled to have the opportunity to “horse around” at work and home! 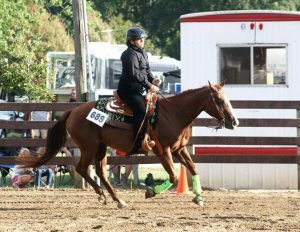 Katie is the head instructor for Sunrise and is responsible for scheduling, planning, and leading lessons with our riders. She has an associates degree in Psychology from Sinclair Community College. She has been around horses my whole life and has shown in 4-H, open shows, and some AQHA shows. 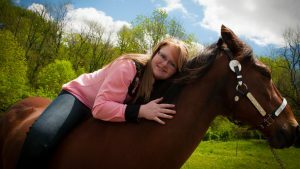 Katie chose a career in Therapeutic Riding because she can combine her two passions of helping others and horses. 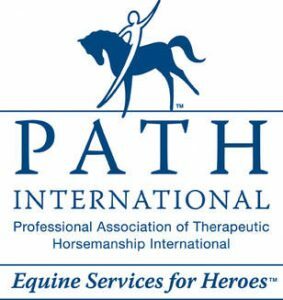 She has been involved in equine therapy for 5 years now. When Katie is not at work she is usually at her sister’s house eating all her food or spending time with friends. Her guilty pleasure is chocolate or any type of junk food. Katie’s top music choices are any classic music of AC/DC, Def Leppard, or Shania Twain. Any of those songs will cheer her up in no time. 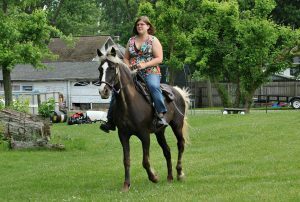 Sarah has been riding ever since she could remember at a church camp she attended every summer. One summer, Sarah fell off and was scared to get back on. Thankfully, She found Sunrise and overcame her fears. She has been involved with Sunrise since 2008, starting out as a volunteer, and becoming more involved over time. 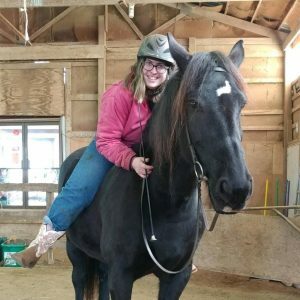 Sarah has a strong connection with the horses and is passionate about therapeutic riding. 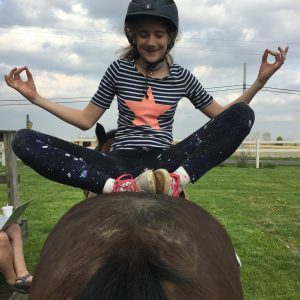 Her horse, Samuel (also known as Mann), has been her constant sidekick as she has been involved in 4-H, trail riding, and therapeutic riding. Samuel is a descendant of the famous race horse, Man O’ War and is one of Sarah’s best friends. They both love music and enjoy dancing whenever the music is played.